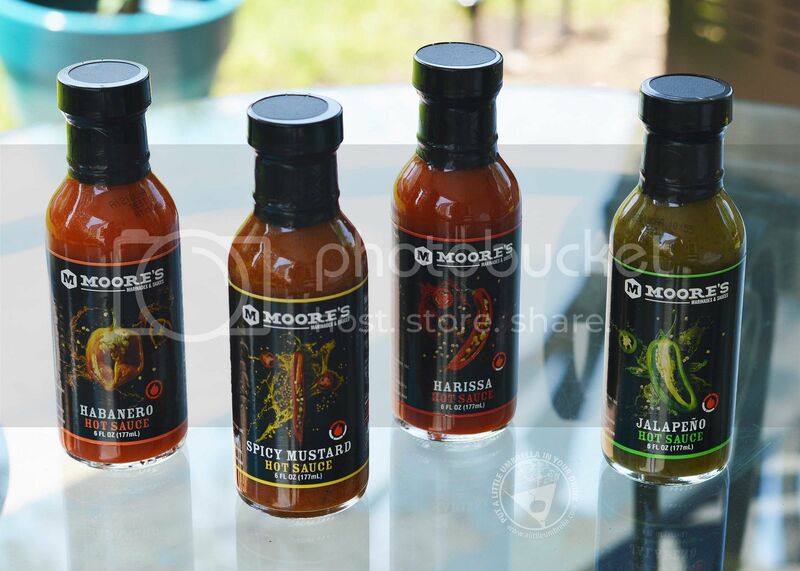 Dad will love cooking and grilling with Moore’s new line of hot sauces! With four flavors to choose from - a milder mustard with cayenne to an explosive habanero - there is something for everyone’s taste buds. My husband puts hot sauce on everything. No joke. Everything. So he is a hard critic when it comes to hot sauce - and loves Moore's Hot Sauces! They are bursting with spicy flavor and go with pretty much anything. The Spicy Mustard hot sauce is a little tangy, a little sweet . . . perfect for when you crave that mustard taste but want the added kick. It contains mustard seed combined with chili peppers and cayenne peppers. He decided to add it to his wings while grilling the other day. The result? Fabulous. Too hot for me, but he loved them. 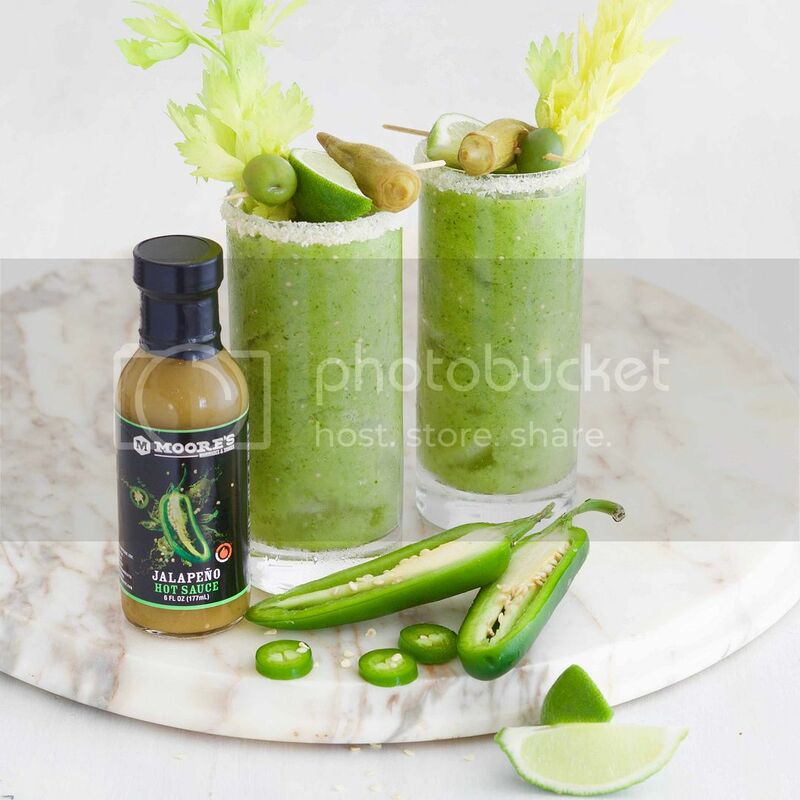 If you love green salsa, the Jalapeno Hot Sauce is for you. Made with tomatillo and cilantro with just a hint of lime, this sauce pairs perfectly with Mexican dishes. You can use it to spice up a Bloody Mary recipe too! 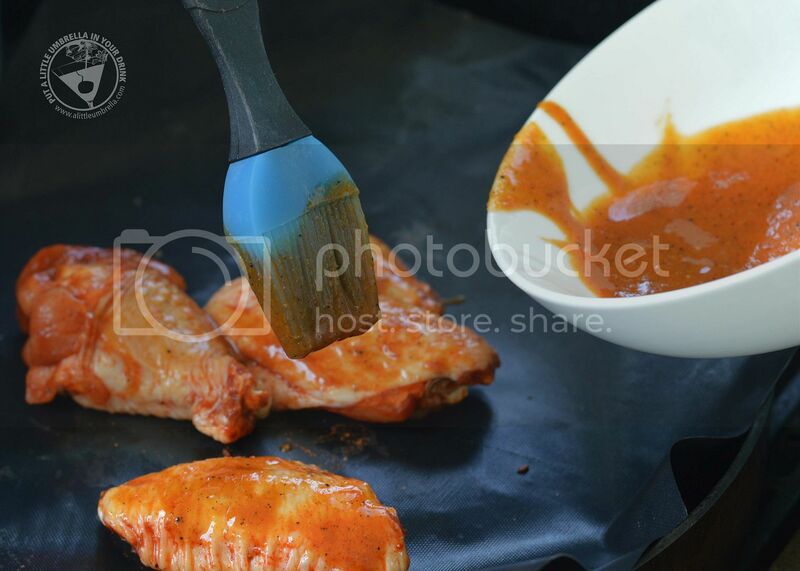 The Harissa Hot Sauce takes the heat up a notch with its unique blend of roasted chili peppers, habanero peppers, cayenne peppers, and a touch of garlic. Truly a unique taste, it perfect for adding the perfect amount of fire to any dish. We can't wait to try it with this Fire Cracker Shrimp. For those that like their food as hot as it can get, Habanero is a naturally smoky sauce made from Costa Rican habanero peppers pairs perfectly with any food. Check out this recipe for a Habanero Monterey Jack Burger. 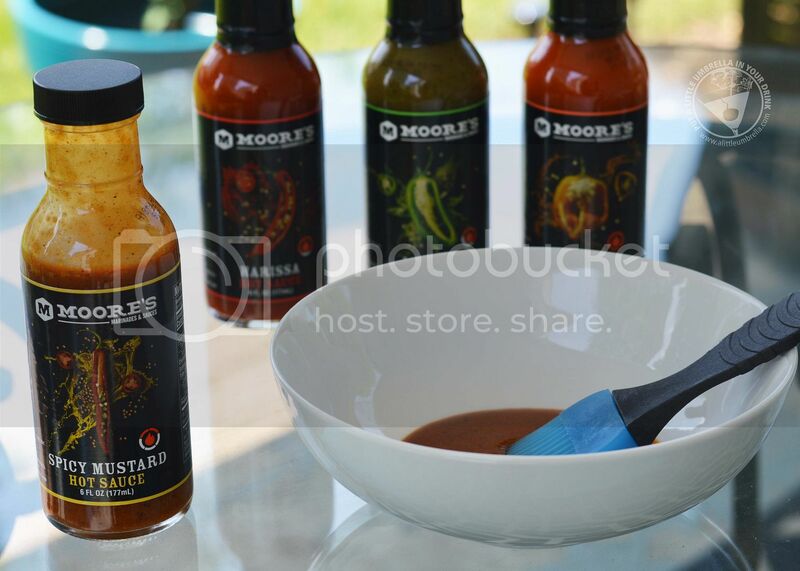 Excite dad's taste buds and add extra flavor to all of his favorite foods with Moore’s Hot Sauces. 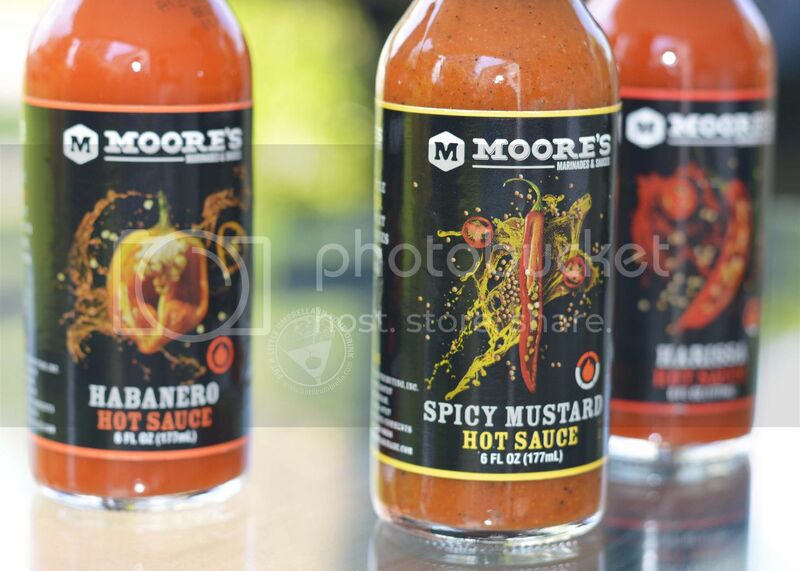 Don’t just add heat, add Moore Flavor. 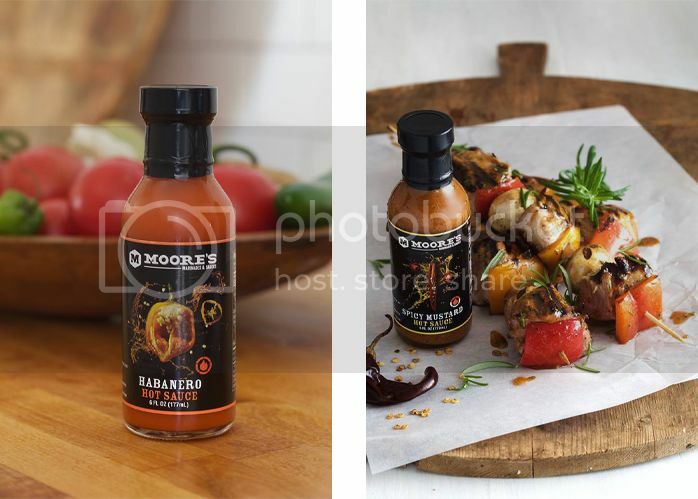 Connect :: You can connect with Moore's Marinades and Sauces on Facebook and Instagram. 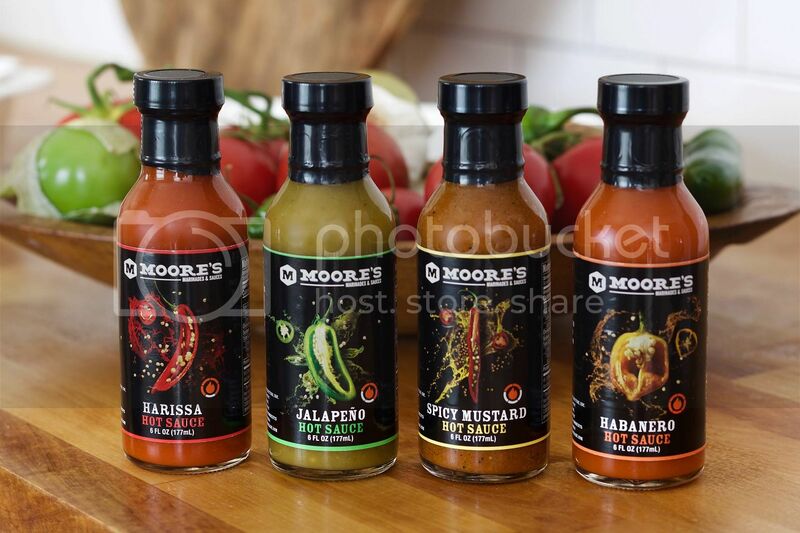 At just $3.29 for a six-ounce bottle, Moore's Hot Sauce is perfect to add to dad's father's day gift! You can purchase their products at these fine retailers.